Dr. Martimucci graduated with a bachelor of arts degree from Colgate University and went on to receive his master’s degree in microbiology from New York Medical College. He was awarded his medical degree from St. George’s University School of Medicine. He did his internal medicine residency at The Brooklyn-Calidonian Hospital and a fellowship in geriatrics at Mount Sinai Medical Center. He is board certified by the American Board of Internal Medicine in both internal medicine and geriatric medicine. 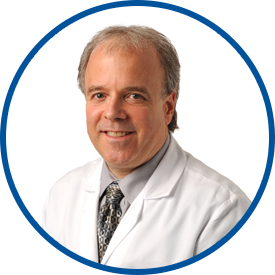 He is affiliated with Greenwich Hospital and White Plains Hospital. Dr. Martimucci is a primary care physician and is one of the original physicians with Westmed Medical Group going back to 1996 when it was founded. He is excellent and great at following up. I have already recommended Dr. Martimucci to another family and they are very satisfied with the care he provides. I have already recommended Dr. Martimucci to a friend. Dr Martimucci ensured that i understood my health pros and cons. Dr Martimucci is an excellent and effective doctor and I like him very much.